A neonatal unit caring for the region’s sickest babies has undergone a £45,000 transformation to protect vulnerable infants. 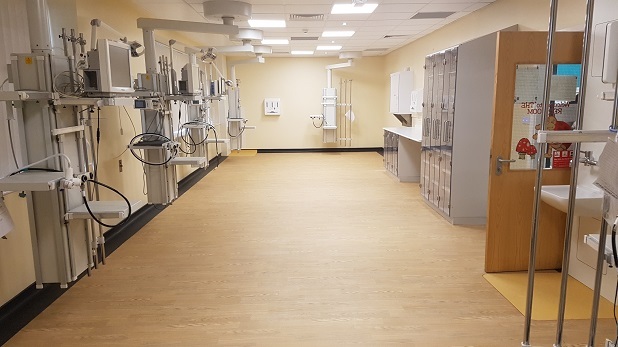 Work has just been completed to increase the floor space in the Neonatal Intensive Care Unit (NICU) at Hull Women and Children’s Hospital caring for sick babies. 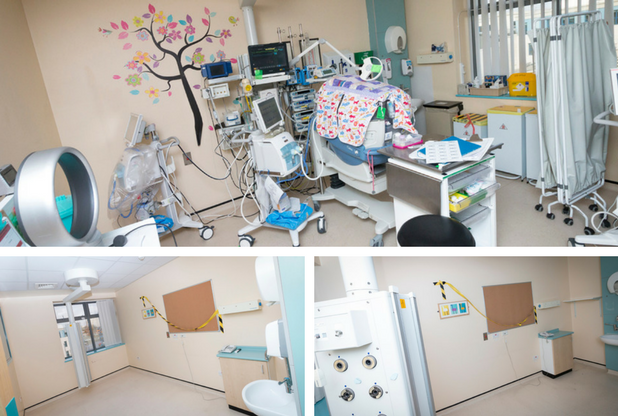 The unit is a regional specialist centre caring for premature infants and desperately ill newborn babies from Hull, Yorkshire and Northern Lincolnshire. NICU manager Kate Lamming said the work, paid for by Hull University Teaching Hospitals NHS Trust, had extended the “Red Room”, where the most critically ill babies are nursed. She said: “The way we were working meant the babies we were nursing were very close together which did raise safety and infection control concerns. “We knocked through into an office area to increase the space between the babies as an infection prevention measure and to create a better working environment for staff. “Some of our most seriously ill babies can require three machines around their incubators right up to the next baby’s space, meaning our staff didn’t have much space between them. The new extension has been fitted with sliding doors so it can be partitioned off if a baby requires nursing in isolation. Parent and family facilities such as the bedrooms and the Kitching and dining areas have also been fully refurbished thanks to the generosity of family and the general public raising funds for the unit. Babies normally treated in the Red Room were nursed in other rooms on the unit while the area was fitted with new flooring, sinks, ceiling tiles and redecorated. Staff are now planning to raise funds to refurbish the Blue Room, the area where seriously ill babies are nursed by the team. Visit www.hey.nhs.uk/babyunitfund for details on how you can help or support the staff.